Family Promise is a wonderful way for our Sinai community to come together and directly impact the lives of others. Temple Sinai is one of many interfaith organizations who support Family Promise of North Fulton/DeKalb and provide temporary room and board for families in transition. Throughout the year, Temple Sinai members host up to four families that are in need of housing and hospitality. Temple Sinai provides the facilities and our congregants volunteer their time by providing meals, on-site hosting, and moving services. All volunteer slots are appropriate to do alone, with your family or even a friend. Provide Dinner: Prepare or purchase dinner for the guests and yourself. Enjoy dinner and conversation with the guests, stay and help tidy up after dinner is over (nightly 6:00pm-7:30pm). Overnight Hosts: Pack your, pajamas, pillow, bedding and toothbrush! Stay overnight at Temple Sinai with our guests before starting your day (nightly 7:30pm-8:00am, Saturday overnight stays until 9:00am). Help with Move-in/Move-out Days: Arrive on Sunday to either help unload the guests’ belongings off the truck and set-up the rooms for our guests; or help load the guests’ belongings onto the truck and close the rooms (Sundays, 1-2 hours). 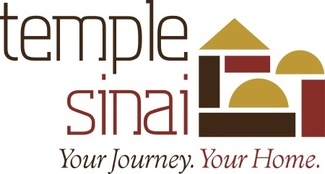 Saturday/Sunday Hosting: Spend a couple hours at Temple Sinai on Saturday or Sunday with our guests. Play games, read books, watch a movie, play on the playground, bring an activity, etc. (2-3 hours). Miscellaneous Supplies: Donate supplies needed for upcoming host week. Possibilities include: paper goods, dry goods, lunch foods. Laundry: Pick up a bag of linens and towels at the end of the week. Wash, dry, fold and return to Sinai later that week. Arrive to help unload the guests’ belongings off the truck and set-up the rooms for our guests (2:00pm-4:00pm). Prepare or purchase dinner for the guests and yourselves. Enjoy dinner and conversation with the guests, stay and help tidy up after dinner is over (6pm-7:30pm). Please state in the comment section what your meal will be. Pack your toothbrush, pajamas, pillow, bedding and a change of clothes! Stay overnight at Temple Sinai and enjoy breakfast with our guests before starting your day (7:30pm-8:00am). Please put in staff kitchen labeled Family Promise. Pack your toothbrush, pajamas, pillow, bedding and a change of clothes! Stay overnight at Temple Sinai and enjoy breakfast with our guests before starting your day (7:30pm-8am). Arrive to help load the guests’ belongings onto the truck and close the rooms (1-2 hours). Pick up one bag of laundry, wash and return to Sinai later within the week. Please note: each bag is equivalent to 2-3 loads in standard washer.